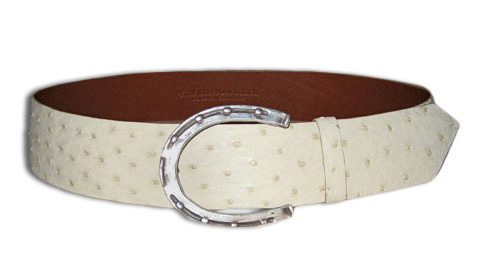 Handmade Ostrich 2" Radius Cut Belt with a Sterling Silver Horseshoe Buckle by Peter Hoffman. 8 color options available. Each belt is lined in harness leather and ber his signature stamp. Hoffman Ostrich belts come with a lifetime guarantee.